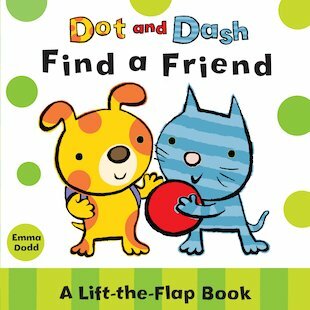 A hide-and-seek flip-flap book introducing an adorable duo. It’s time to play – but first Dot and Dash need to find their friend! They have their bouncy red ball and their pals Big and Tall … but wait! Where is Small? Little ones will love peeking under the flaps to find him in this bright and playful board book.